Let’s be honest – not all metal garages and RV carports are created equal. What works best for one person may not be ideal for another. Because of this, in order to provide you with exactly what you’re looking for, we specialize in custom built metal garages and RV carports. Whether you’re in the market for a custom designed metal carport cover for your vehicle, your RV camper or both, we can help. These custom buildings are perfect for keeping your car or RV in top condition, protecting it from wind, rain, snow and UV damage. If you own an RV you’ve sank a good amount of money into your purchase. It wouldn’t make for a wise investment to leave in outdoors. 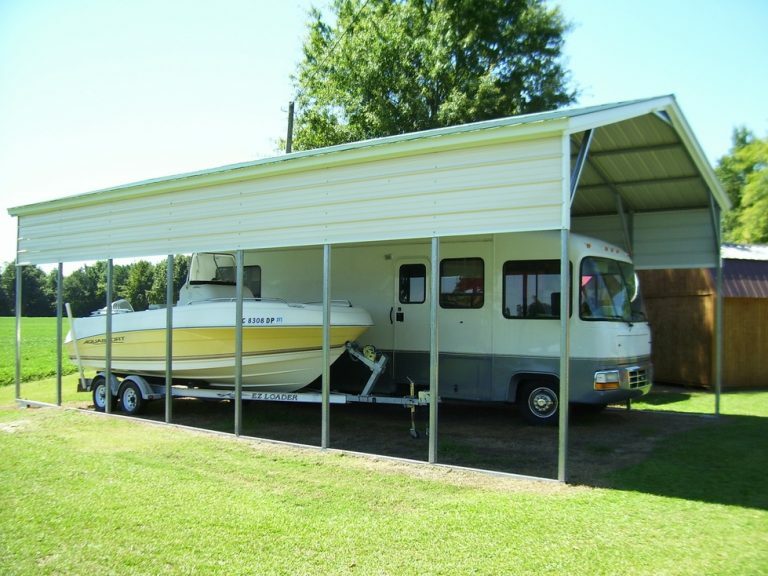 RV carports are perfect for blocking ultra violet rays that can cause severe fading of a motorhome’s paint finish. With a custom-built metal cover, you’ll be choosing a structure and materiel that offers strength, durability, and natural resistance against fungal decay and termite damage. 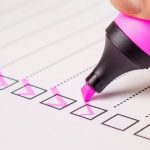 When you’re ready to invest in a car port, there a few questions you’ll need to consider and have answer for in order for us to outfit you with the perfect custom covering. First – What width, length and side height are you looking for? Second – Budget. Have an idea how much you are comfortable spending. Third – What surface is it going on: dirt, concrete, blacktop, gravel, etc.? We guarantee our portable buildings with a 5-year workmanship warranty. This means you can expect your RV carport to be free from defects in materials and workmanship. Contact us today to learn more about custom built metal garages and RV carports.